Below is a list of countries that have not been matched with Monaco. If you know a couple from any of these these country combinations, please tell them about our project. Tatiana Santo Domingo Rechulski is an heiress and socialite married to Andrea Casiraghi, the eldest son of the Princess of Hanover and second in the line of succession to the Monegasque throne. 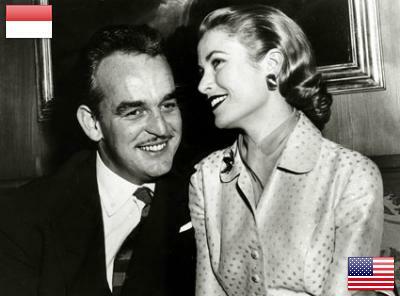 Kelly headed the U.S. delegation at the Cannes Film Festival in April 1955. While there, she was invited to participate in a photo session at the Palace of Monaco with Prince Rainier III, the sovereign of the principality. After a series of delays and complications, Kelly met the prince in Monaco. Charlene Wittstock has officially won the heart of a prince. The 32-year-old former Olympic swimmer from South Africa is engaged to Prince Albert of Monaco, her longtime boyfriend.